When a patient is being authorized for medical care, their treatment needs to follow a set of medical best practices. If the treatment plan differs from these best practices, then care may be denied coverage or delayed. We had an existing service that warned healthcare providers about treatment plans that would not be approved for coverage ahead of time. The goal was to steer medical practitioners and patients toward the ideal treatment for a given condition, and ensure coverage. Unfortunately, utilization of our warning service was very low. Less than 10% of our alerts were being acted upon by users. In the interest of getting patients approved for treatment more reliably, we needed to investigate how to design a better notification experience. Observe how our users organize and prioritize physical and digital artifacts around their work spaces. Understand the needs, desires, workflows, and temporal rhythms of users within the various contexts of provider office environments. Learn how to design alerting, messaging and document delivery services in a much more effective and accessible manner. To optimize opportunities for serendipitous discovery, we met with participants at their work desks, rather than in conference rooms removed from daily clinical routines. While engaging in structured conversation using our discussion guide, we would regularly be interrupted by phone calls, fax machines, pop-up alerts and passersby. This was by design. We wanted to witness our users in their natural work environment. With permission, we also captured artifacts such as photos, screenshots and audio recordings. These artifacts and observations allowed us to directly address one of our primary research goals: understand how our users’ attention is captured and focused within clinical contexts. Sessions could last up to three hours, providing ample opportunities for breakthrough discoveries. We synthesized our data into a set of actionable findings, which we shared with a team of product managers, marketing professionals and software engineers. The ideal alert-building experience will allow our users to set contextual triggers. 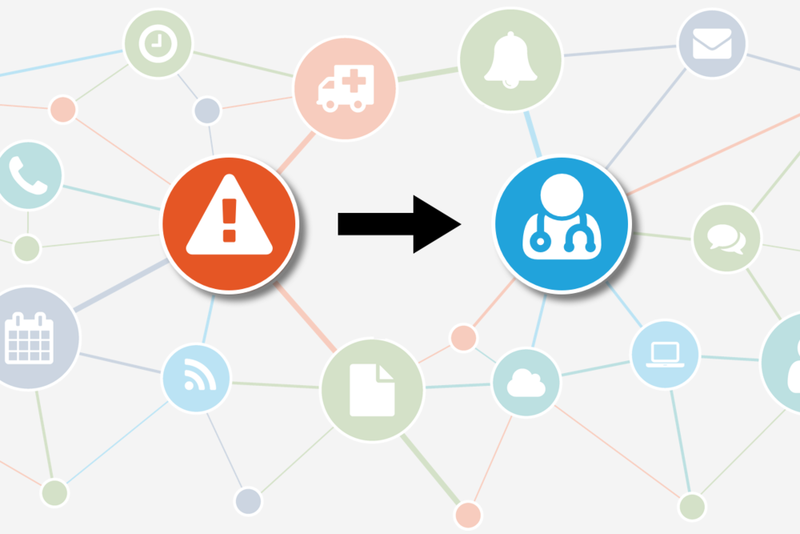 Delivering real-time status updates will accelerate clinical workflows and improve patient care. Support for collaborative task lists will expand our service’s utility within the workplace. The data was used to generate a set of user personas that illustrate the different information-sharing roles, attitudes and practices we encountered in healthcare offices. 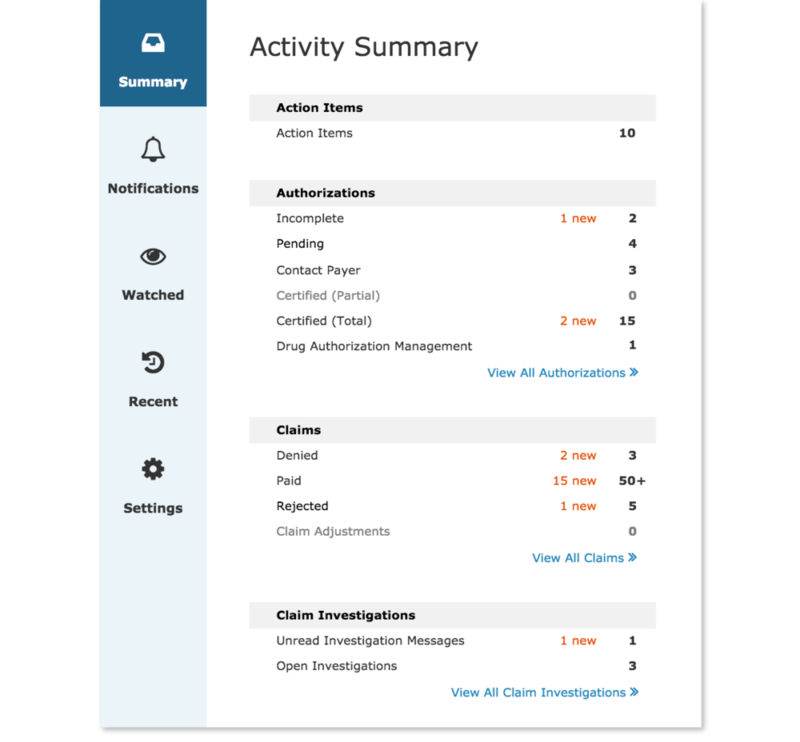 We designed a UX prototype where user behavior contextually triggers opportunities to subscribe to relevant clinical notification streams. The design of our solution was iterative, adding new features to coincide with upcoming point releases. We started with pop-up notifications and then added an activity summary view. Each design phase concluded with a series of four to six remote usability tests designed to challenge or validate our prototype. There would always be at least one member from our UX team present to facilitate and observe these sessions. Since I was leading this study, I was present for all the sessions. These sessions would begin with on opportunity for guided exploration, where the participant would explore the prototype and think aloud regarding their thoughts on the purpose, discoverability and layout of the designs. Then we would invite them to complete a series of structured tasking using a task packet. Users were instructed to We tracked measurements such as time of completion for each task. Over time, the results from these sessions enabled us to improve our designs, providing our team and other stakeholders with confidence ahead of each handoff to engineering teams. Over the course of our usability testing, we arrived at several new discoveries which we implemented in later releases. For instance, users didn't just want notifications that pop up from time-to-time. They wanted an up-to-date summary of recent activity which they could consult when it was convenient for them. This provided the inspiration for our Activity Summary panel, deployed with later releases of our product. The redesigned notification system and new activity summary provided our users with more actionable alerts that could be completed on their schedule. After deploying the system, utilization of our notifications more than doubled. This enabled our company to sell the new system to more clients.